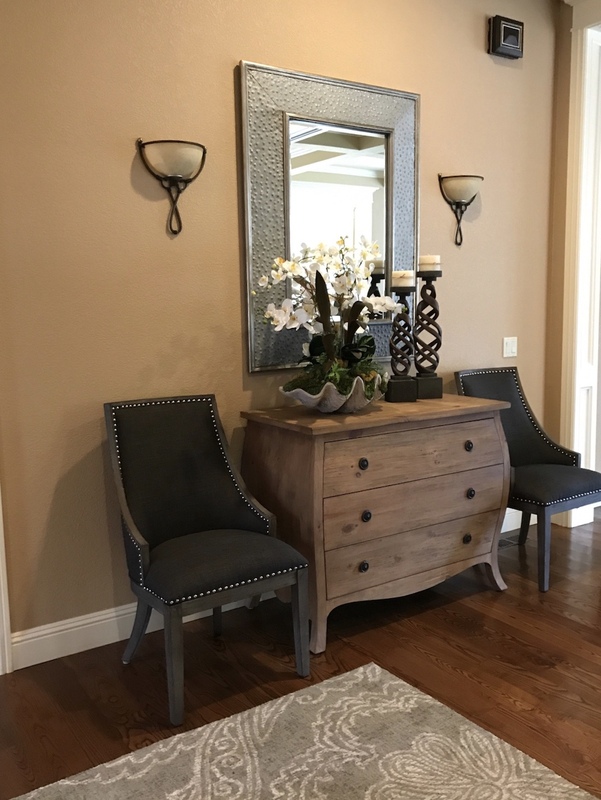 Thank you, Margie, for the gorgeous update of our home’s entry and living area. Your vision, talent, and dedication are amazing! Many friends have complimented me, and I am quick to praise you all on your creativity and hard work. Thank you, Kim, for the stunning arrangements and your help and advice. Yes, WOW! There are those times when despite your best efforts you can’t quite get your home to look and feel the way you have envisioned it. You know the kind of home you want. It’s the home that not only fits your lifestyle, but warmly welcomes both friends and strangers. As an added bonus, your friends will recognize that you have “the gift” of interior decorating. No reason you have to tell them that Margie Moss at Joplin Decorating Center was the inspiration and has “the gift”. 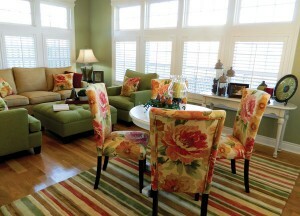 Margie recently turned my living and dining rooms into warm, elegant, “want to be in them” kind of rooms. I have used Margie’s services in the past and have always loved her work, but I have to say that like a fine wine, she has improved with age! You will not be disappointed with Joplin Decorating Center as Margie’s gift in decorating is also accompanied by her professionalism, her ability to think outside the box, and most importantly, her interest in your vision and how to bring that to your home. Give Joplin Decorating Center a try, you won’t be disappointed. If you are generous enough to share the secret that is Margie, your friends will be forever grateful. Sincerely, A Very Satisfied Customer P.S. She also has a great assistant in Kim whose support allows Margie to shine! If you are in need of a little decorating advise, want to revamp a room in your home for a new season of color, or just feeling antsy and curious you need to drive yourself to Joplin Decorating Center. At JDC you will find a relaxing environment where you can explore different textures, colors, styles, and brands right along side an experienced decorator. The owner and her staff have over 30 years experience in styling and decorating! I would highly recommend JDC over other local decorators because of the one on one customer service you receive when you walk in the door. You will love the ambiance! I really loved everything you did. Freakin’ awesome! Love the window treatments, and everything you’ve done! Thank you. Can’t believe the difference! Wow. Excellent work. Margie Moss and the folks at Joplin Decorating Center did an amazing job helping me with my home remodel. I wasn’t exactly sure what I wanted, but the staff was there every step of the way making recommendations and catering to my tastes. Once we were finished, my home looked more beautiful than ever before with new additions of furniture, rugs, wallpapers, and blinds. I will be using them again in the future for any of my interior decorating needs. Kudos to Joplin Decorating Center for making my new home look so wonderful! These ladies are simply the best at what they do and come highly recommended. I have done business with Margie Moss and Joplin Decorating Center for over 15 years. Margie is wonderful to work with and a great listener. She does a wonderful job of putting together rooms that reflect the desires of her clients. I have also found that I have grown in my understanding of how to put together a wonderful home. In addition to being a great decorator, Margie is a wonderful artist. 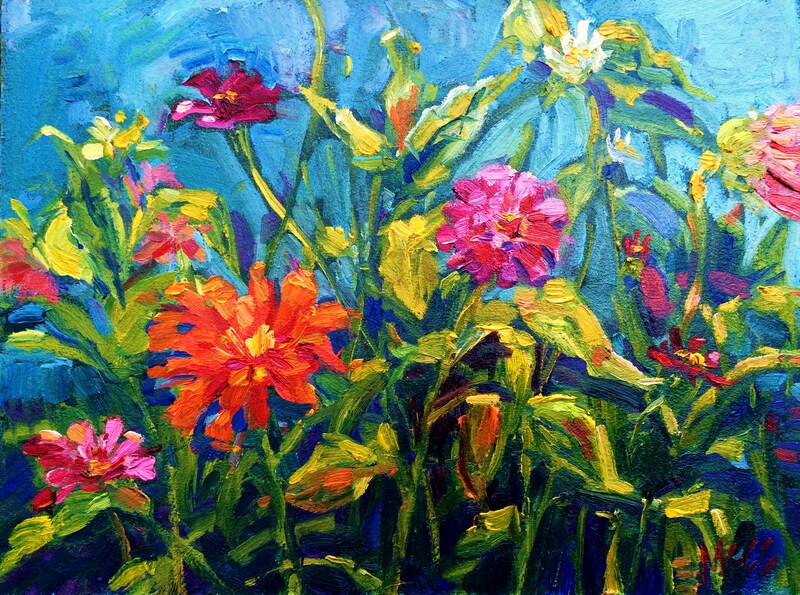 I have a number of her paintings in my home; they add a lot of color and beauty to our house. She has a wonderful eye for color. Not only has Margie helped to make my house a real home, she will also bring a blessing into your life with her wonderful and positive personality. I cannot praise Margie Moss and Joplin Decorating Center enough. Margie is amazing (and so is Suzanne)! Margie was willing to do as much, or as little as I needed… she even accompanied me on a shopping trip! My husband had encouraged me to contact a decorator to help put some “wow factor” in our living room, and ONLY the living room. We were so happy with the results, she has since transformed almost every room in the house! What a difference she had made in how we feel about our home… we love it and enjoy every minute that we are here! Thanks Margie and Suzanne!!! Wonderful items – I love it all!! !